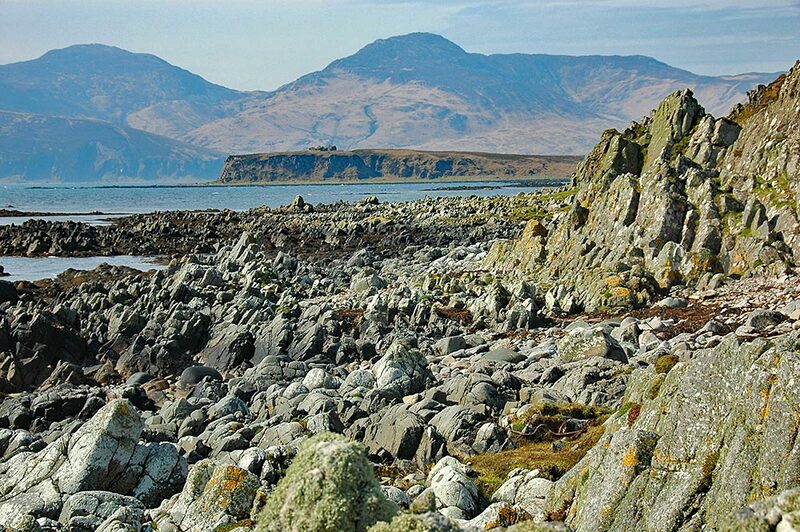 A view during a walking week excursion to Islay’s neighbour Jura: A rocky shore near Ardfin with Am Fraoch Eilean (and the ruin of Claig Castle) in the Sound of Islay. 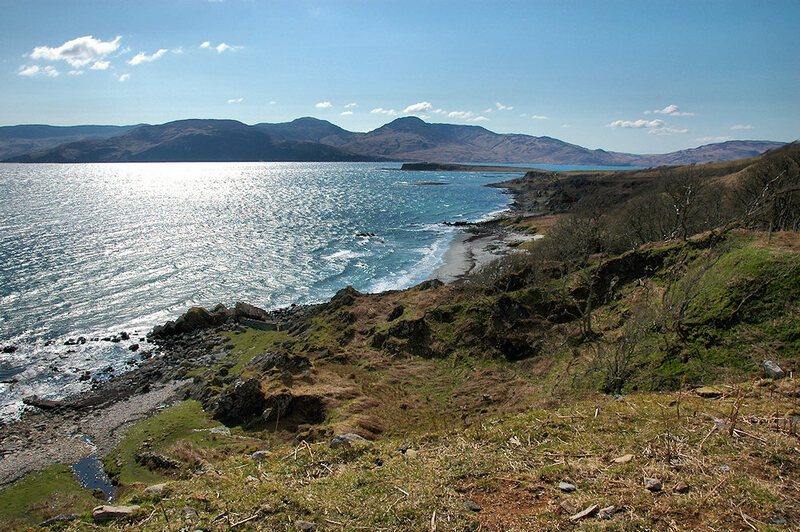 The hills in the south east of Islay in the background. 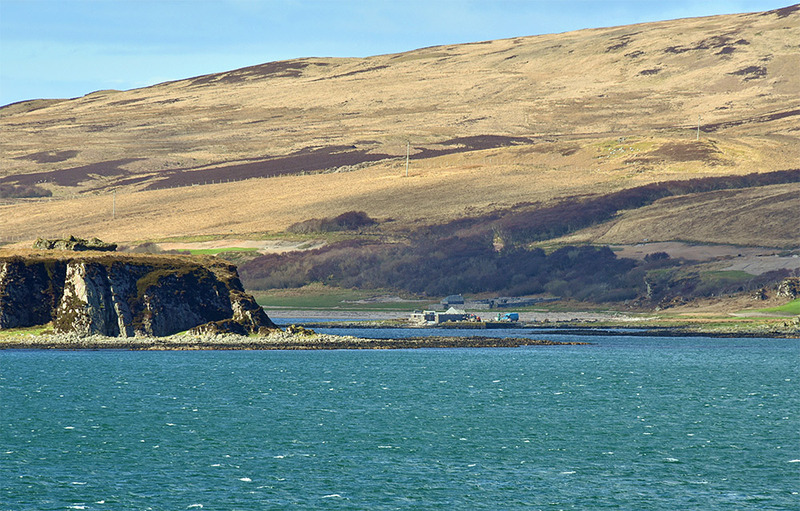 A view from the Islay ferry in April 2016, looking towards Ardfin on Jura, on the left also Am Fraoch Eilean. The building in the centre is the old Ardfin boathouse, to my knowledge currently being converted to some kind of cafe or bar on the new Jura golf course. But the boathouse is also famous for something else, as far as I know it’s where the KLF burned £1,000,000 back in 1994.